Brand new hotel in Insadon. Opened in Nov. 2012! Hotel Icon is the new hotel which opened in Nov. 2012. The hotel is only 5 min. walk from Insadong main street. Insadong is the popular spot among tourists to enjoy Korean traditional culture. The nearest subway station is ‘Ankuk’, which is 5 min. walk from the hotel. Ankuk station is a convenient station as there is a bus stop for airport limousines. Hotel Icon offers twin rooms, double rooms and family suite (triple) to welcome all kinds of tourists. The hotel features the rooftop floor with tables, chairs and parasols accommodated so you can relax with the great view. You can enjoy the view of presidential office, Cheongwadae and Mount. Bukak behind it as there is no tall buildings. 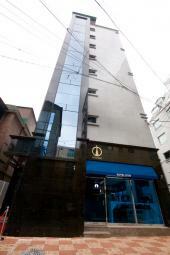 Hotel Icon helps you to fully enjoy your stay in Seoul!